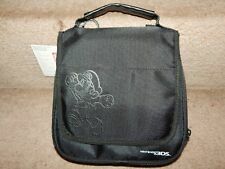 Details about the item: Very Good Condition Official Nintendo Travel Case For DSi And DSi XL Black. Model: 3DS - Original. Platform: Nintendo DS. Signs of wear can include aesthetic issues such as scratches, and discoloration. Item Type: 3DS. Platform: Nintendo 3DS. Model: 3DS - Original. Country/Region of Manufacture: Unknown. Color: Purple. Signs of wear can include aesthetic issues such as scratches, and discoloration. Condition: Used: Very Good. Soft designer neoprene construction protects you console. Convenient loop carrying handle. DS Lite Quilted Tote Case - Teal (BDA Power A) BDA-075113. Wallet, Purse, Clucth. Compatible Platform: DS Lite, DSi. Includes: 1 DS Lite Quilted Tote Case. 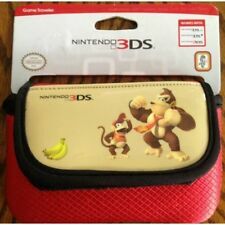 DSi XL will not fit in the inner pocket. Type: Tote. Loc:BOX 5(A01). any item marked “AS IS” for any reason. Soft designer neoprene construction protects you console. 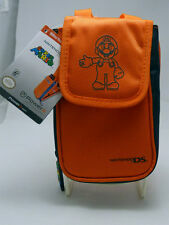 Padded Storage for the Nintendo 3DS, DSi, DS Lite, DS. Model: 3DS - Original. 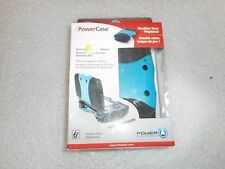 Details about the item: Acceptable Condition Power A Mini Transporter Case Blue. Item Type: DS. Platform: Nintendo DS. Design Finish: Matte. Color: Blue. Location: #HH44. Signs of wear can include aesthetic issues such as scratches, and discoloration. Model: 3DS - Original. Item Type: DS. Platform: Nintendo DS. Color: Gray. Signs of wear can include aesthetic issues such as scratches, and discoloration. Design Finish: Patterned. Condition: Used: Very Good. Platform: Nintendo 3DS. Model: 3DS - Original. Item Type: DS. Signs of wear can include aesthetic issues such as scratches, and discoloration. Design Finish: Patterned. Color: Blue. Condition: Used: Very Good. DS Lite Quilted Tote Case - Teal (BDA Power A) BDA-075113. Compatible Platform: DS Lite, DSi. DSi XL will not fit in the inner pocket. Includes: 1 DS Lite Quilted Tote Case. Type: Tote. It has minor wear from storage. Great if you are limited on space or want a more interesting carry case for your system. Platform: Nintendo 3DS. Model: 3DS - Original. Item Type: DS. Signs of wear can include aesthetic issues such as scratches, and discoloration. Design Finish: Patterned. Color: Black. They maybe marked, or have identifying markings on it, or show other signs of previous use. New Nintendo 3DS XL. New Nintendo 3DS. Nintendo 3DS. Nintendo 2DS. Nintendo DSi. Nintendo DS.